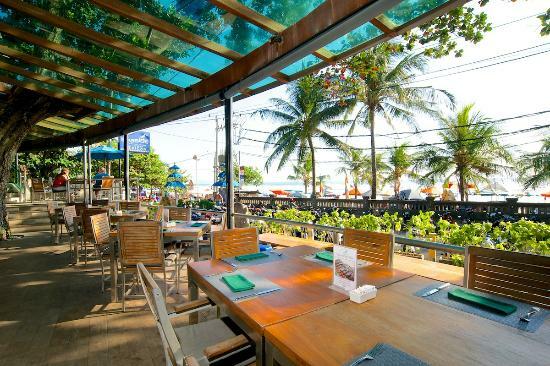 Looking for the perfect setting for a romantic dinner or a leisurely lunch? 24/7 is the place for you. Watch your chef in action through the open kitchen, while you choose from among Italian, Indian, Continental and Pan Asian specialties. While a la carte is good, the buffets are recommended. The restaurant has an extensive wine cellar, indoor and outdoor seating areas, great food, and is open 24/7. What’s not to love? Don’t be fooled by its name. MoMo actually stands for Modern Living Modern Dining, and is a multi-cuisine café, which serves North Indian, Italian and Continental food. Modern interiors, a kids’ activity section, a hospitable staff and an open kitchen best describe this café. 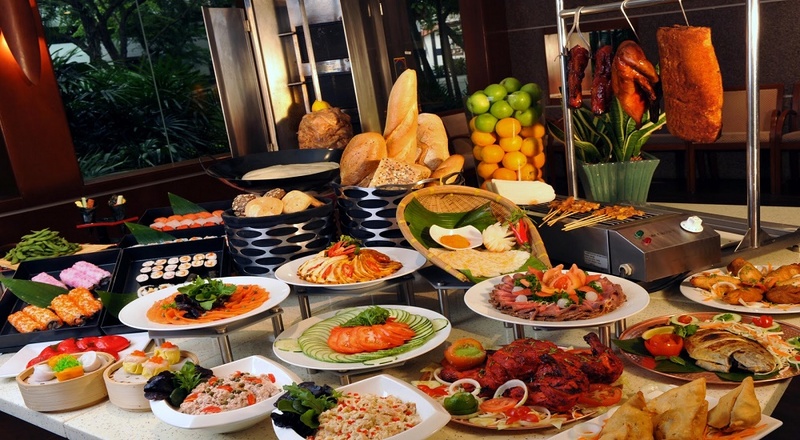 The Sunday brunch is highly recommended, there’s something for everyone! 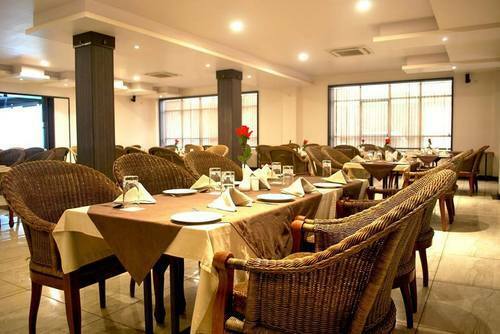 Lounge on a sofa or sit on a high stool bar table, while you salivate over the wide array of cuisines on offer. Choose from Mediterranean, Asian, Indian and Japanese food and be amazed at how the five standalone kitchens designed to offer distinctive cuisines, coexist in perfect harmony to form a singular culinary district. The South Indian fare is suggested. The best part? There’s so much food to choose from, you’re sure to find something you love! As the name suggests, the kebabs are to die for! Although the main course is delicious, it pales in comparison to the stellar kebabs. Kebabs that are recommended are mutton galouti, seekh, chicken tikka, tandoori chicken, fish tikka, lamb chops and paneer tikka. The bright, modern and upscale interiors make the eating experience even better. This place is a haven for vegetarians and is known for it’s veg-only buffets. Their menu consists of North Indian, Chinese, Thai and Continental cuisines. Along with this, the restaurant also serves delicious chaat, street food and an array of ice creams. The interactive kitchen and the Tappenyaki ice cream counter are the highlights of this restaurant. A great place to host a private party, as the staff is more than accommodating and will make sure your event is a hit. The multi cuisine restaurant, overlooking the pool, is perfect for light snacks as well as a relaxed dining experience. The exhaustive buffet showcases Middle Eastern, Chinese, Indian and Western cuisine available for breakfast, lunch and dinner while the a-la-carte menu allows for selective personal choices for stunning culinary offerings. It also features a pizza oven, utilized for baking breads, brioches and other baked goodies. Head here for a quick business lunch or a fun evening with your loved one. The restaurant exudes a warm contemporary feel and a visual delight for your eyes. Serene with its white décor, you might want to opt for a table by the window so you can bask in the greenery outside. Choose from Continental, North Indian, Asian and Italian cuisines. A courteous staff, delectable dessert and a wide spread are on offer. The buffet brunch is recommended. Although the food is exceptional, the buffet more so, what really sets Oasis apart is the comfortable, spacious seating area and the outdoor seating which is accompanied by fountains and lights, which really brighten up the night. At Oasis you can treat your senses to a range of authentic Italian, Chinese and Indian cuisines. Take in all the aromas, the sounds of live cooking, all panned out in an artistic setting in fine harmony. They also a have a walk-in wine library offering a wide selection of premium wines to choose from. Whether it’s catch up over coffee or a leisurely meal, head to Pavillion 75 for their delicious burgers, tempting steaks and pork ribs. It’s a true meat lover’s delight. This tastefully done restaurant, is spacious and open for 24 hours, a true friend to count on for those late night cravings. The wide variety of North Indian, Asian and European delicacies at Viva are best sampled in a relaxing contemporary setting. The interiors are elegant and urbane with large glass windowpanes that add life to the restaurant during the day and dramatic lighting that takes over in the evenings. The culinary offerings are complemented by the choice between indoor and al-fresco locations and the efficient service that makes it a fine dining experience. The Sunday brunch is recommended. Don’t forget to try the live stations for pasta, pizza and continental food. Now that you’ve got the inside scoop on the best restaurants to head out to, it’s time to make the most out of the weekend! Haven’t found your weekend plan yet? There’s lots more to choose from on nearbuy.com.